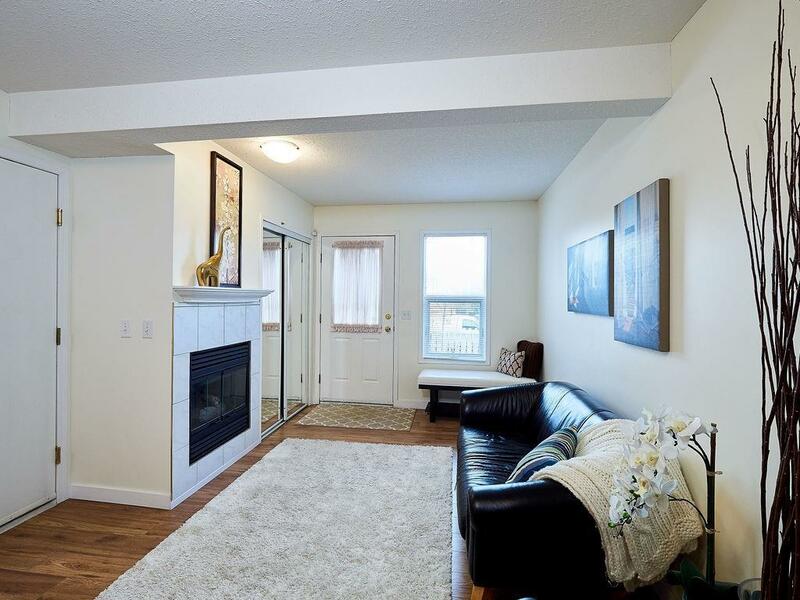 Dont miss out on this bright 3 bdrm, 2 bathroom townhouse with over 1200 sqft of updated living space in an incredible location! 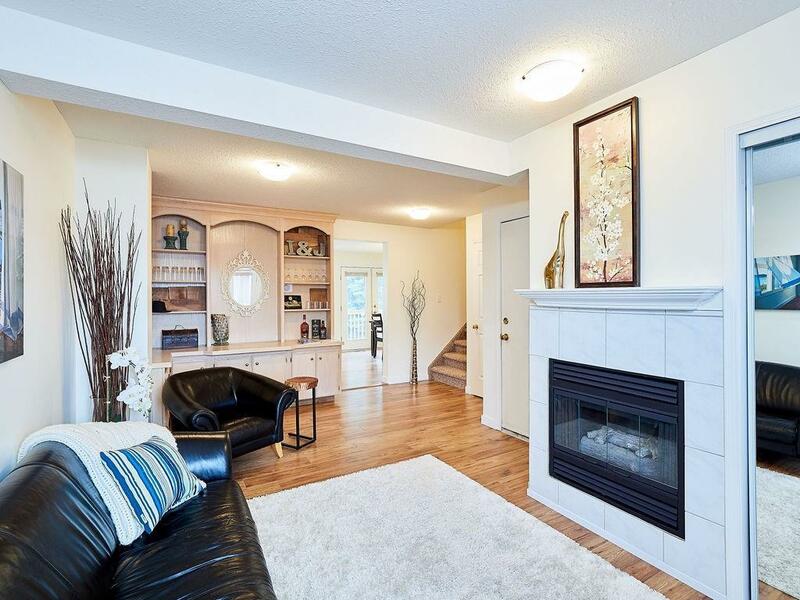 The main floor features a gas fireplace and gorgeous built-ins, with engineered wood flooring throughout. A U-shaped kitchen presents plenty of counter space and a layout perfect for entertaining. 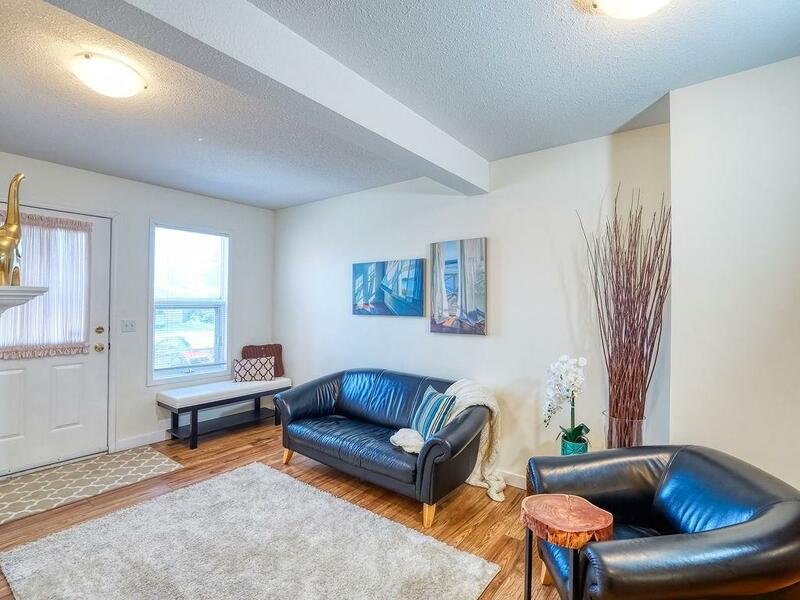 Upstairs holds 3 generously sized bedrooms, with a large walk-in closet and a 4 piece ensuite. An unfinished lwr level adds extra living space potential and abundant storage space. Round off this great home with an insulated single attached garage and addtnl parking for a single vehicle on the driveway. In the last five years, the roof, deck, hot water tank and garage door have all been upgraded. Carpet, knockdown ceilings, paint, and appliances have also been updated. 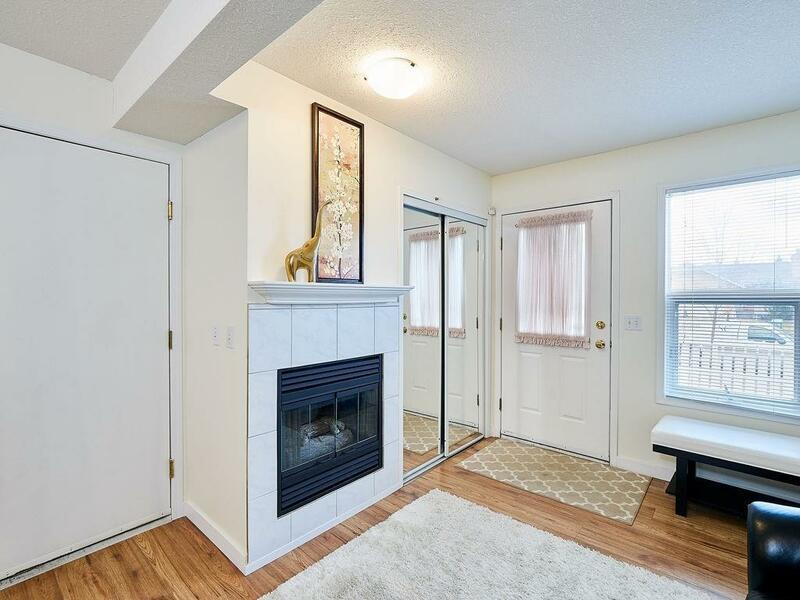 Walking distance to elementary schools, transit and easy access to Deerfoot and Stoney Trail. NOTE: Exterior painting to commence this Spring. See last photo for new paint color River Stone.